In recent years analytical methods have grown more sophisticated, incorporating advanced statistical approaches to detect relationships, correlations and trends. This has become both more important and more necessary as the volume of data available has increased and as successful companies have used advanced analytics to their advantage. 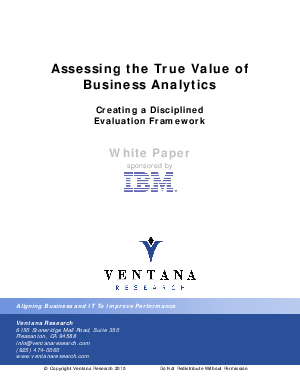 Read this paper for more information about the changing nature of business analytics and its importance in business planning.